Condolence: So sorry to hear about the loss of your father.Both Werny and Peter were very dear friends of my parents Mavis and Adam Kress. I hold many a fond memory of both our families sharing good times,laughter and yes a few drinks at social functions and get togethers. Often with Werny playing the accordion. Your dad was an exceptional person, always smiling & joking. I will remember him that way. I hope that in turn your memories of him will comfort you at this sad time as well. I am so sorry to hear about the loss of your dad. He was a kind and wonderful person who always had a smile on his face. I often ran into your dad at the shopping centre when I went home to visit. He would make a point of greeting me with that infectious smile and a hug. Many cherished memories of him. My prayers and thoughts to all of you and your families. 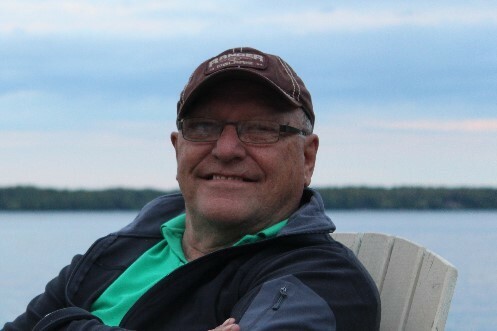 Condolence: We want to extend our sincerest condolences to all of the Streitenberger family and let you all know how sad we are to have lost such a wonderful and cherished man. His picture captures the essence of who he was and brings up so many fond memories of the laughs and smiles we shared with such a dear uncle. May the memories you all have help bring some comfort during this very difficult time. We look forward to seeing you soon and celebrating his life and memories together. Condolence: Sincerest condolences to you, Bruce, and your family, in the recent passing of your dad.